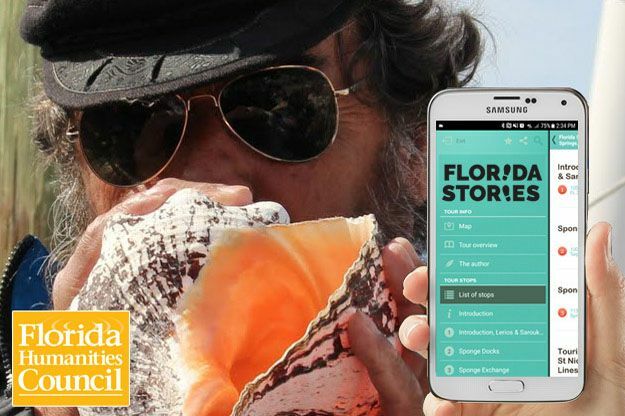 Join the community on Thursday, September 13, 6:30 PM, at the Safety Harbor Museum and Cultural Center to kick-off Florida Stories, a self-guided walking tour app. Florida Stories allows residents and visitors to learn about the history of Safety Harbor at their own pace and on their own schedule via this free downloadable app. Refreshments will be provided, along with help downloading Florida Stories to your phone or other device. Learn about the history of Safety Harbor as you stroll through local streets with the Florida Stories app guiding guests through twelve unique stops, providing lively and colorful audio stories and pictures for each location. The app can also connect users to other fascinating communities across our state without ever leaving their home. Find it in the App Store or Google Play, by searching for Florida Stories. Florida Stories is sponsored by the Florida Humanities Council, Florida Department State-Division of Cultural Affairs and the Florida Council on Arts and Culture and made possible by funding from the Safety Harbor Museum of Regional History, Safety Harbor Chamber of Commerce, Safety Harbor Public Library Foundation and Friends of the Safety Harbor Library.